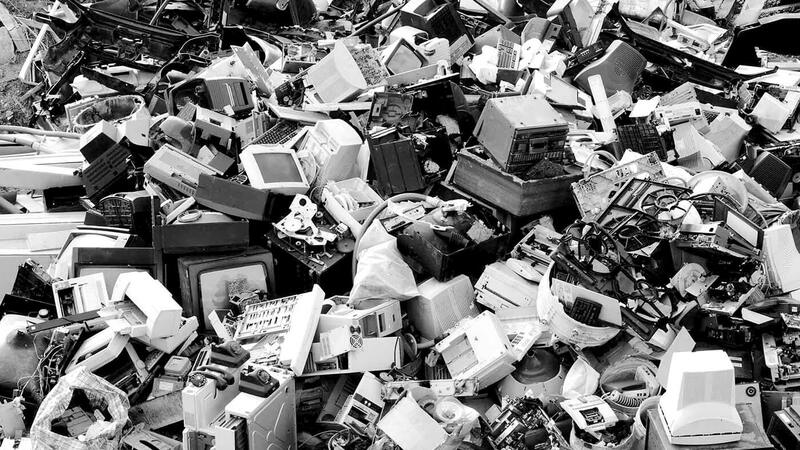 What will Nepal do with its e-waste? Heaps of discarded CRT monitors and keyboards are stacked one above the other. Tube lights, lamps and PVC panels are piled up at another corner. Old printers, television sets, cassette players, refrigerators, heaters and even laundry machines are piled high in a tangle of cables. Here at the Doko Recyclers’ warehouse in Sano Thimi, a staff in protective gear is hard at work segregating a new batch of electronic waste collected from Kathmandu neighbourhoods. A technician is trying to repair a laptop, but most other items are set aside to extract valuable metals for reuse. The warehouse is already bursting at the seams with more than 55 tons of electronic waste that have been collected in just the past year after it was set up. Yet the mountains of batteries, computers and electronic items here represent only the tip of the iceberg. Most e-waste in Nepal is just dumped with the rest of the trash at landfills. The disposal of electronic waste like toner cartridges and mobile phones is particularly challenging as they have negative recycling value and contain hazardous material like mercury, lead, lithium, and heavy metals like cadmium and nickel. Worldwide, some 45 million tons of electric and electronic waste was produced last year alone, and this has been increasing at 7% a year. 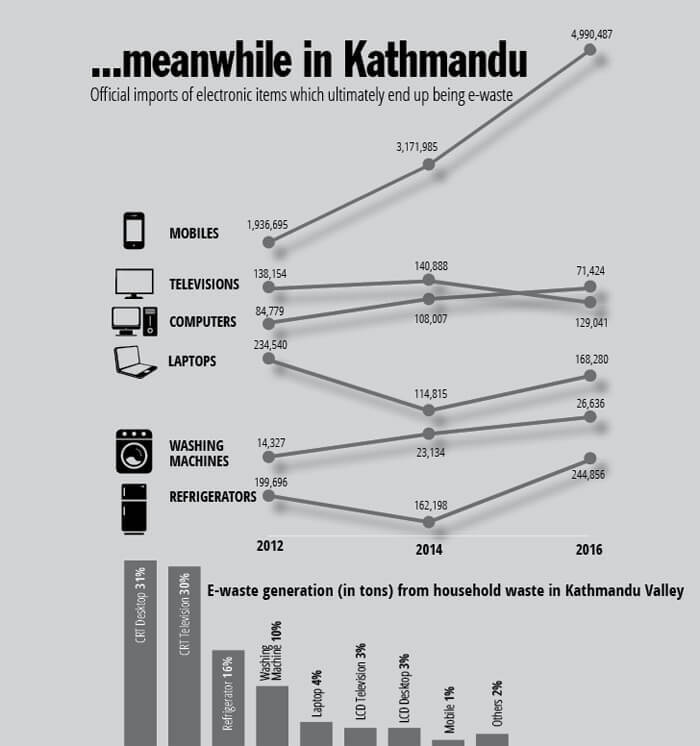 According to a study carried out by Nepal’s Department of Environment, Kathmandu alone discarded 18,000 metric tons of e-waste last year. 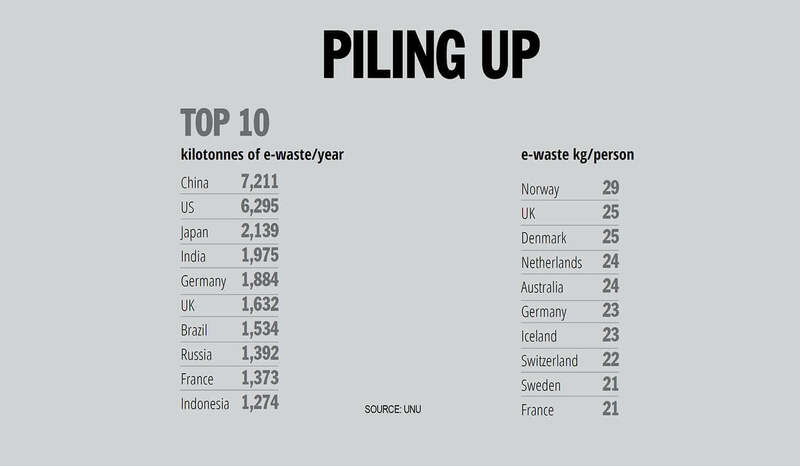 Another survey earlier this year by Kathmandu University’s Subodh Luitel found that e-waste makes up almost 0.5% of the total municipal waste in Kathmandu, which is close to the global average. That may not seem like a lot, but much more is discarded without the knowledge of the Municipality. “At the pace we are moving, it is guaranteed to be a major crisis,” warned electronic waste management expert Keshav Parajuly at a workshop on e-waste last month in Kathmandu. Increasing purchasing power, planned obsolescence of electronic gadgets and the lack of strict regulation on disposal has eroded the Nepali culture of repairing, reusing and recycling, according to Sanjay Golcha of the Him Electronics. “On average, Nepalis change their mobile phones every 15 months. More than 6 million phones are imported every year. There has to be a mechanism for their disposal,” he added. Countries in Europe and East Asia are introducing Extended Producer Responsibility (EPR) that requires consumers to pay a disposal tax at the time of purchase of any electronic good, and manufacturers and importers to take back the end-of-life product to be safely disposed. 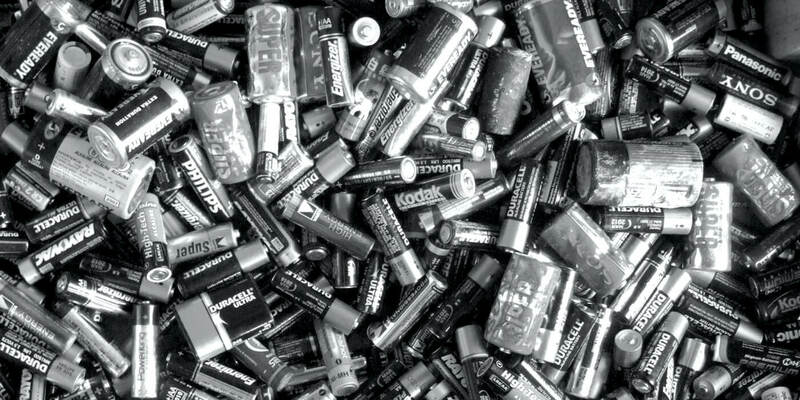 Lead and lithium batteries from inverters, vehicles and solar systems make up a large portion of the e-waste in Nepal, and it saw a surge during the decade of severe power cuts. Nepal has accumulated an estimated 25,000 tons of battery waste, of which nearly 10,000 were from inverters and 8,000 from solar systems. The Alternative Energy Promotion Centre (APEC) plans to establish a semi-automated recycling plan for lead acid batteries, but experts say it is too little, too late. Electric vehicle use is rising, which means very soon there will be a bigger problem of managing lithium ion batteries that power cars, laptops and smartphones. The Solid Waste Management Act 2011 addresses industrial and hazardous waste, but there is no separate mention of e-waste. 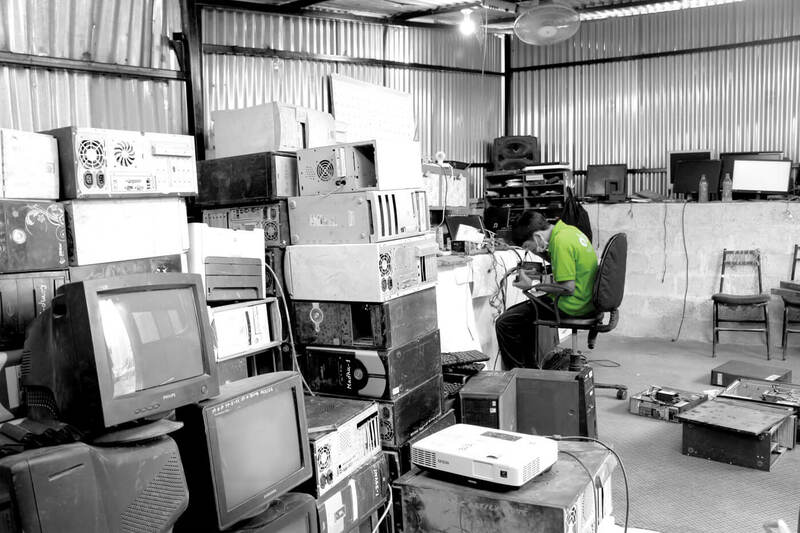 The public is left with only one option: to sell e-waste to scrap dealers. But recyclers cherrypick the most valuable waste, and this involves unsafe dismantling, extraction of useful metals, and dumping of the hazardous waste in landfills, contaminating the soil, groundwater and rivers. The government doesn’t have any plan on e-waste management as of now, says Safala Shrestha of the Department of Environment. However, a new Hazardous Waste Regulation is being drafted, which addresses the control and management of e-waste, and a ban on illegal import of electronic goods. 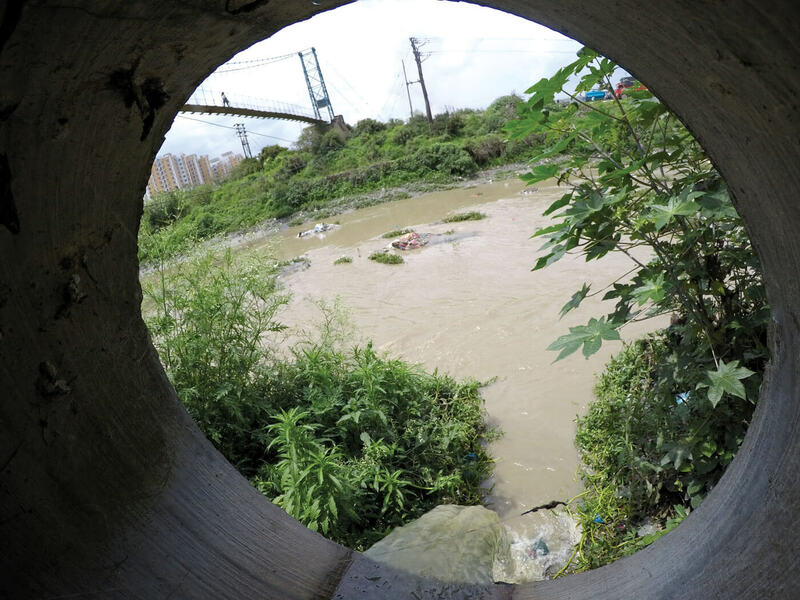 Nepal is a signatory to the Basel Convention that prohibits trans-boundary movement of hazardous waste, unless a country has no local solution for disposal. Nepal has been exporting most of its e-waste to India, where printed circuit boards and other electronic waste are chemically treated to extract precious elements like gold and silver. Cities like Moradabad and parts of West Bengal are known as ‘goldmines of trash’. 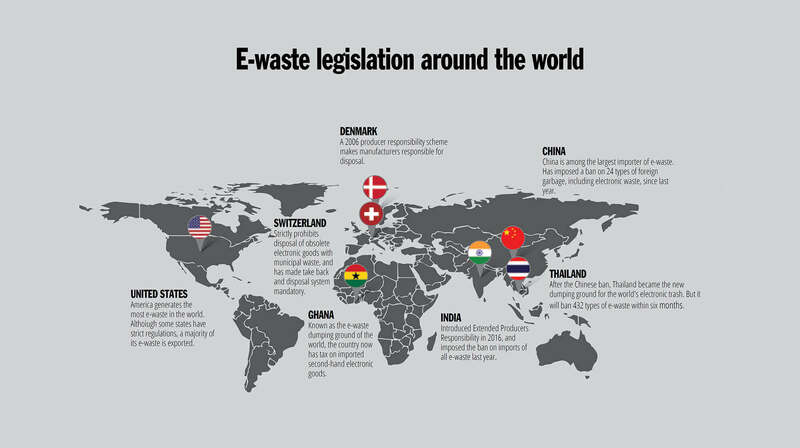 But with India and China cracking down on e-waste imports, Nepal will now have to import recycling machines (like bulb eaters that remove mercury from fluorescent lamps) as well as other e-waste, which is still being taken across to India. Electronic waste is also an opportunity for Nepal to generate income from local resources, in turn to be used to process and treat the trash. Precious metals from electronic components can be recycled to contribute to the national economy. Public, policy and corporate level awareness is an integral part of e-waste management. “We need to build our own processing plant here rather than exporting what is essentially a goldmine. 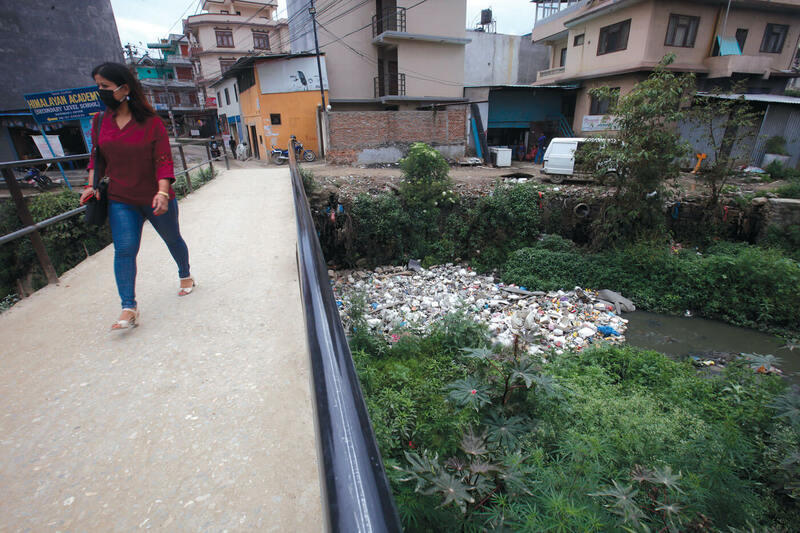 We can then reuse and recycle and set up an ecosystem of a circular economy,” solid waste expert Sumitra Amatya told Nepali Times. Ideally, e-waste should be separated from municipal waste and allocated a different landfill site. But with Kathmandu’s only landfill in Okharpauwa filled to the brim, Nepal Investment Board in partnership with NepWaste, a Finnish joint venture, is working on a project to collect waste from Kathmandu and process it at Banchare Danda to generate compressed natural gas, electricity and fertiliser. The project was proposed long ago, but has been mired in bureaucracy.